Need a foundation repaired, basement lowered or waterproofed, but don't have the money up front? No problem. Cochren Foundation and Repair invites you to apply for a payment plan with Financeit. Find out if you're approved in seconds. No obligation, no commitment. 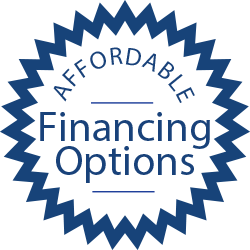 Financing is subject to credit approval. Financeit will ask you for your contact information, few income and employment details. Here at Cochren, we view foundation problems, regardless of their level of difficulty, as an opportunity to provide long-lasting, cost-effective solutions. As both foundation repair contractors and engineers, Cochren Foundation Repair Company consistently provides the right solution to virtually any foundation problem.